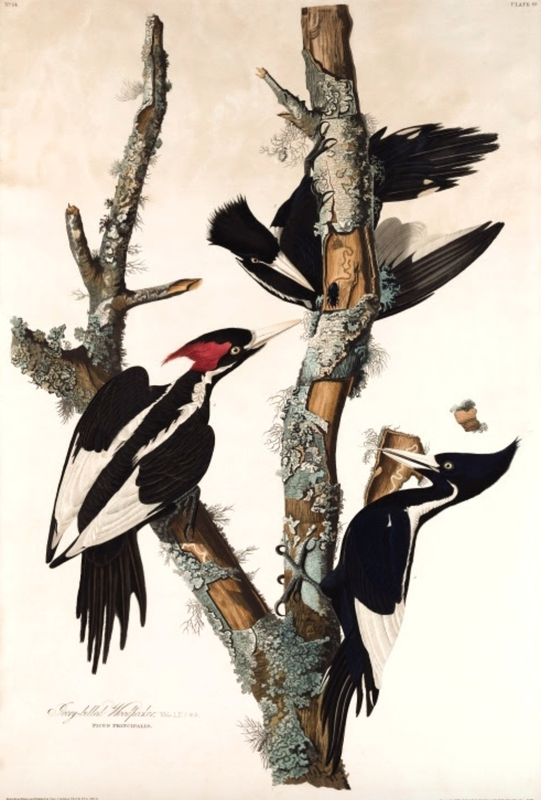 Hand-coloured aquatint engraving on paper of the Ivory-billed Woodpecker (Campephilus principalis), showing a male and two females. Plate 66 from "Birds of America" (1840) by John James Audubon. The original scientific name used by the artist was Picus principalis.